Reese Witherspoon and Sofia Vergara star in Hot Pursuit. The comedy is out now. 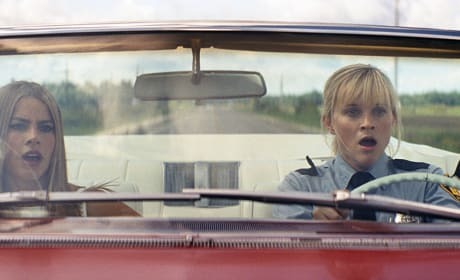 A still photo of Reese Witherspoon and Sofia Vergara in Hot Pursuit. The comedy lands May 8. Hot Pursuit star Sofia Vergara. Vergara makes her film debut as a producer as well. Hot Pursuit stars Reese Witherspoon and Sofia Vergara. Witherspoon's a cop and Vergara is a drug lord's wife. Sofia Vergara gets into it with The Three Stooges. We present the film's best quotes.